TET (Can't Touch This x Spanish Fiesta) Ev. 7" flowers, 35" scapes, 3 way branching with 24 buds. After hearing how well Can't Touch This did for you all, I cannot wait to bring out I CAN'T STOP! 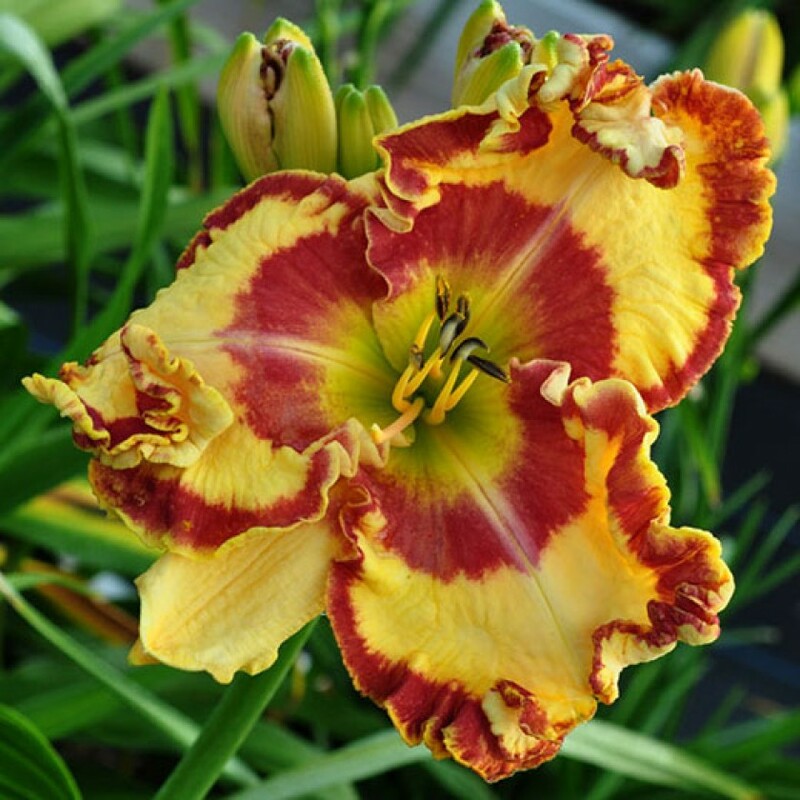 Much larger flowers now show off large heavily ruffled double edges! Not as deep colored as its parent but much more flashy! Great plant habit and a fabulous rebloomer! Very limited. Fertile both ways.